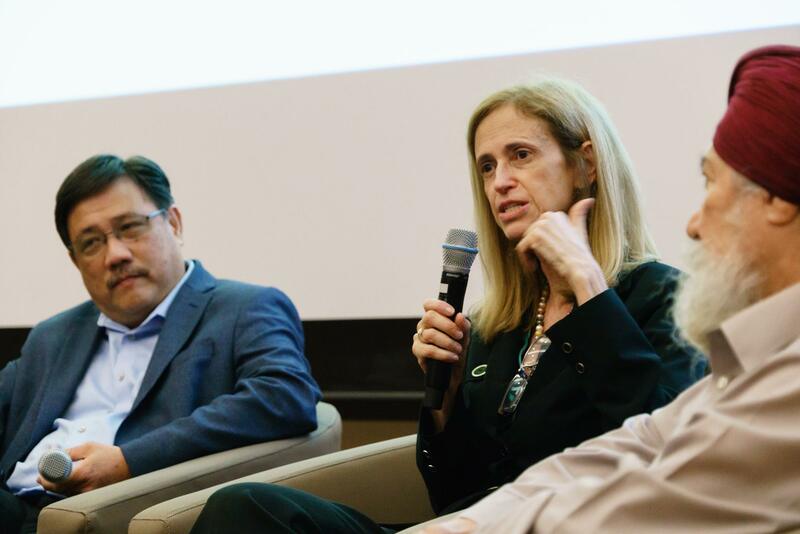 Professor Claudia Costin (Director of CEIPE FGV- Center for Excellence and Innovation in Education Policies- FGV is currently working for the Innovation and Excellence in Education policy think tank. She has been consulted on various public policies and state modernisation plans for governments of Latin America. Apart from her work in education, she also served as Secretary for Education for the city of Rio de Janeiro from 2009 to 2014. Her work includes the launch of the Brazilian civil society movement Todos pela Educaçāo where she is a member of the Technical Committee. As a Brazilian national, Professor Costin raised a few pertinent issues that are faced by individuals in the region such as high school dropout rates as well as the low coverage of early childhood programs. She also noted that traditional teaching is not capturing students’ interest and students are getting increasingly disengaged from the education process. Amongst many other issues raised, she talked about the high education inequality in Brazil and increasing instances of schools and their curriculums diverging from the needs of the countries. Further, she mentioned that these problems do not necessarily affect the Latin American region alone but are in fact, a universal problem faced by countries all over the world. Professor Costin also spoke of the new global goals for education for 2030 stating that FGV EBAPE is committed to ensuring inclusive and quality education for all and promote lifelong learning. In particular, the goals are designed to ensure that all children, regardless of gender, have access to equitable and quality primary and secondary education. These goals include increasing the proportion of youth and adults with job-relevant skills, including technical and vocational skills for employment and entrepreneurship. Professor Costin added that future-ready skills, including digital literacy, problem-solving, and self-awareness are needed in addition to job-relevant skills to engender lifelong learning. She ended the session with her visions for the future—a school that is collaborative and where knowledge is not fragmented. Professor Costin called for us to become advocates for the same vision.